Our Sweet Love Story: Happy Birthday to me! Eddie always does a fantastic job of making my birthday special. It isn't always by lavishing me with expensive presents and such. Last year, he made me a sweet little cake, and his family came up and took me out to dinner. 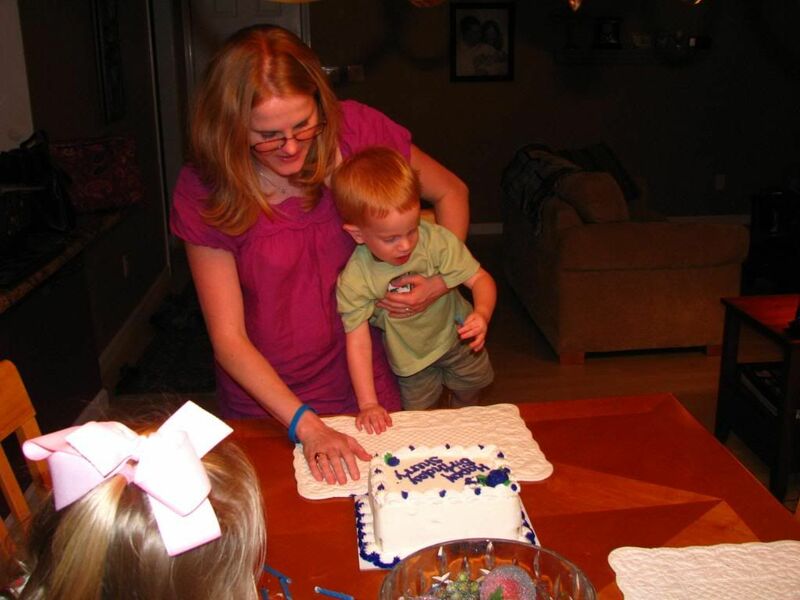 Evan, of course, always makes my birthdays extra special now with his sweet kisses and hugs! My family is truly the best! 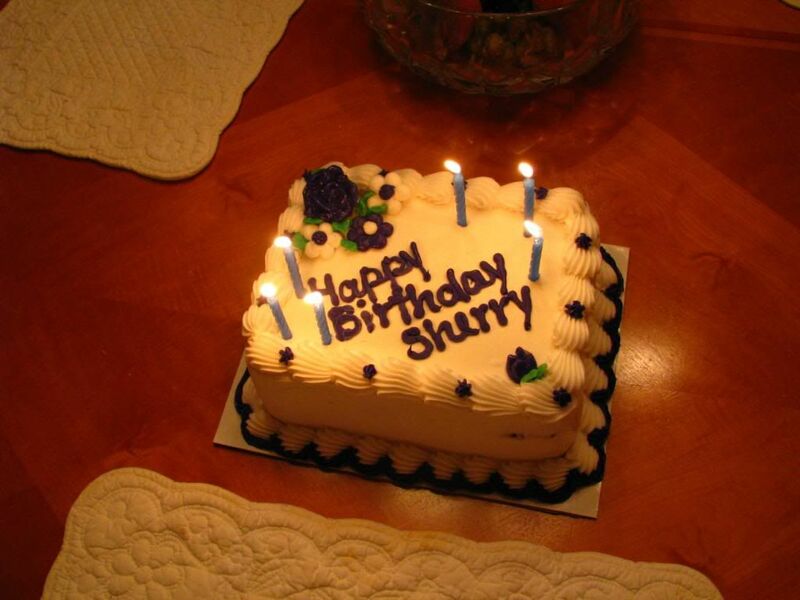 This year Eddie bought me a yummy ice cream cake, and we went out to eat with my brother and his family. Then, we all came back to our "new house" to have cake. The kids enjoyed playing in Evan's new playroom too. My sweet and yummy little cake! Evan helped me blow out my candles!